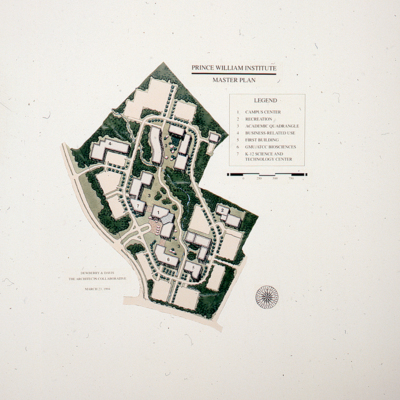 Architectural drawing of Academic I on George Mason University's Prince William Campus. This image is dated March 16, 1994 about three and half years before the completion of the building in September 1997. Image is 8.5" x 11", black and white. 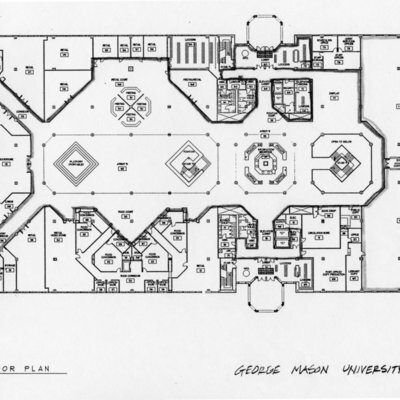 Architectural drawing of the Center for the Arts on George Mason University's Fairfax Campus. 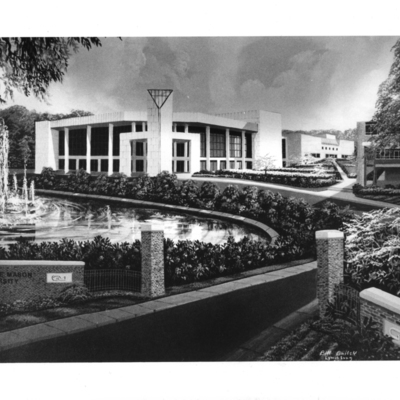 This image was most likely created in 1989 about a year before the completion of the building in 1990. Photograph is 8" x 10", black and white. 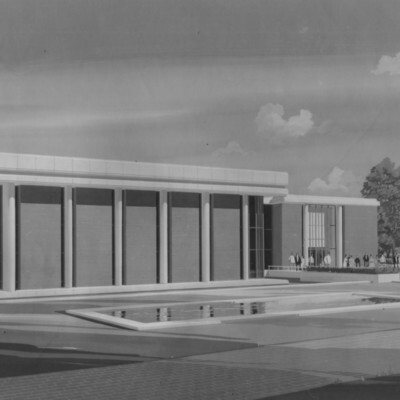 Architect's sketch of the exterior of the University Learning Center (later the George W. Johnson Learning Center). Construction on this building was completed in 1995. This drawing is most likely from 1992 or 1993. 8.5" x 11" reproduction; color. 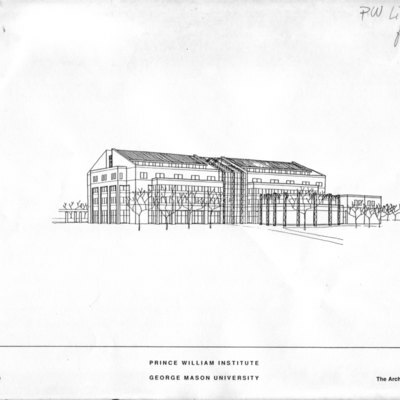 Master plan for the William Institute (know known as the Prince William Campus). 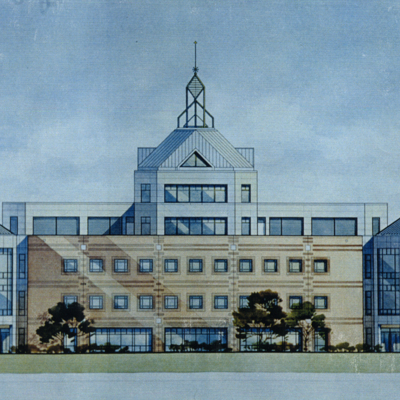 This was one of the final designs before groundbreaking began in 1995. 35mm slide; color. 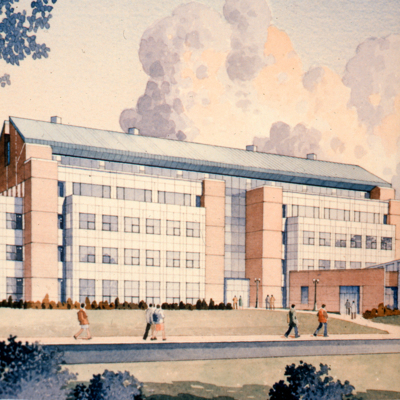 An architect's rendering of the first academic building to be constructed on the planned Prince William Institute. 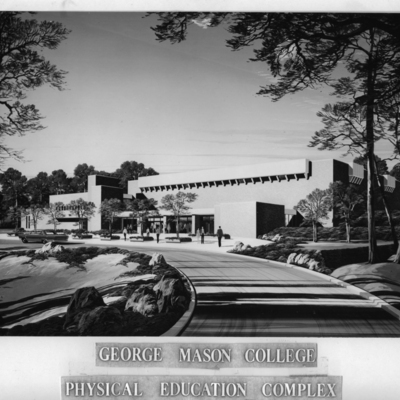 Academic buildings were the first structures opened on the campus. 35mm slide; color. 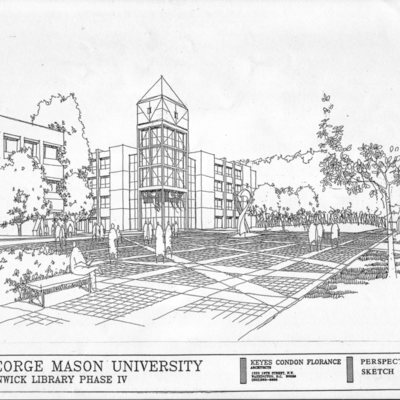 Architect's rendering of Fenwick Library on George Mason College's Fairfax, Virginia campus created in 1966 by Vosbeck - Vosbeck, and Associates Architects. 8" x 10" print; grayscale.